Nance’s dunk came near the end of the Lakers’ 33-point third period, but they managed just seven baskets in the fourth — none over the final 6-plus minutes. “Our offense kind of hit a wall,” Nance said. Lopez added 20 points for the Nets, who played without Jeremy Lin again but avoided a third consecutive defeat. 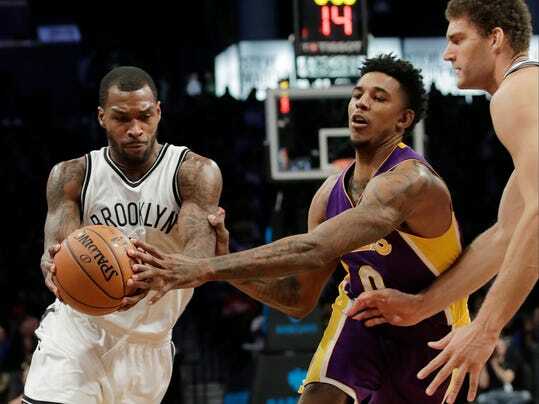 Trevor Booker grabbed a season-high 18 rebounds and helped key Brooklyn’s rare fourth-quarter defensive stand.